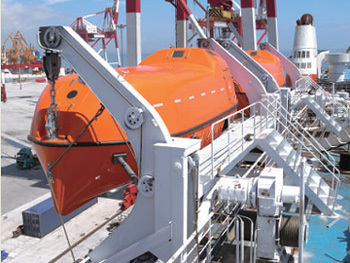 The lifeboat cranes are in full accordance with the SOLAS-rules and are MED-certified. We arrange a smooth worldwide delivery on your request. 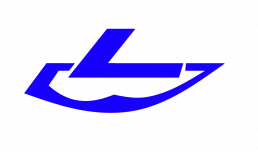 Gravity luffing arm davit: is lowering lifeboat and rescue boat depending on boat self weight and recovering the lifeboat and rescue boat using electric boat winch. The appliance is traditionally the most usually used lifesaving and escape system that is safe and reliable. 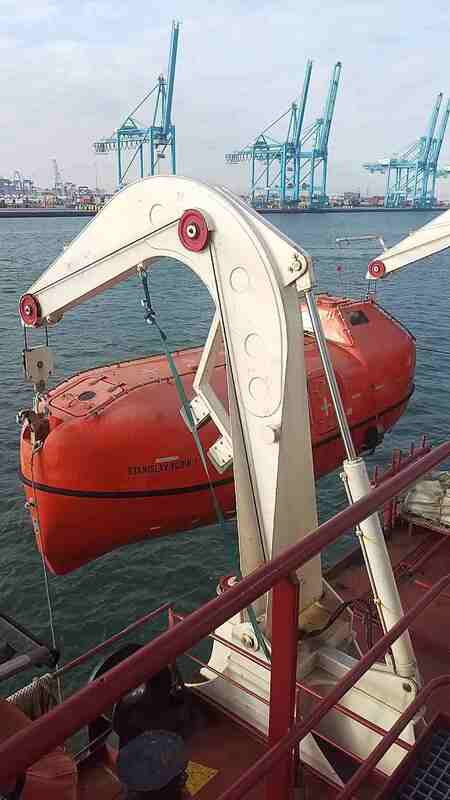 Gravity overhead rolling type davit: is lowering lifeboat and rescue boat depending on boat self weight and recovering the lifeboat and rescue boat using electric boat winch. 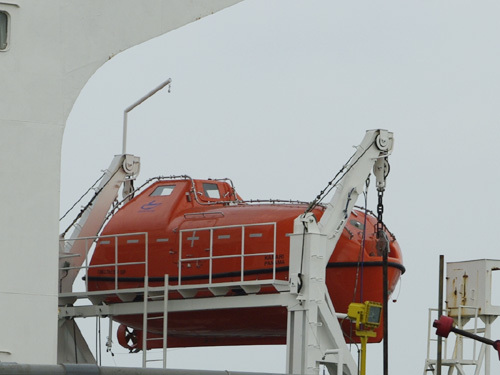 Offshore Davit: Platform davit is installed on offshore platform, which is lowering lifeboat and rescue boat depending on boat self weight and recovering the lifeboat and rescue boat using electric boat winch.